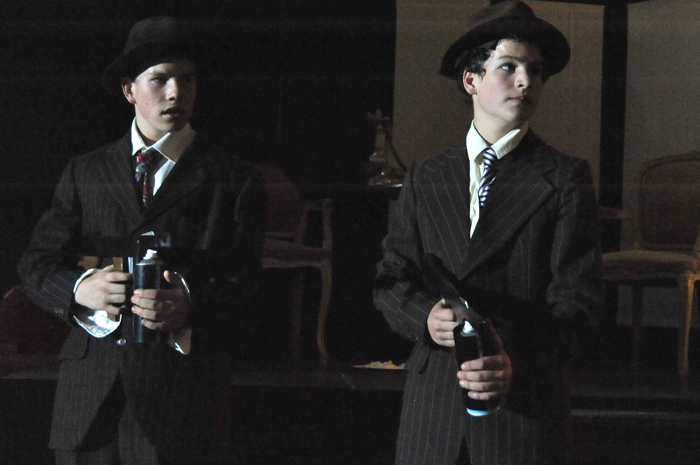 Splurge is an essential addition to every Bugsy Malone production – no performance is the same with out it. NEW FORMULA exclusive to us – our Splurge is now suitable to be used for Custard Pies too. So two products in one! Please see description for more details. Splurge cans contain a non toxic white foam. Generally shows get through one 400 ml can of splurge, per splurge gun, per show. Please see description for more details. Remember, if ordering large quantities of splurge cans, it may be worthwhile choosing splurge can deal instead. NEW and IMPROVED formula of Splurge spray exclusive to Plunge Products – this formula is not available elsewhere. The splurging is just as good but now it also stays foamy for longer so it’s suitable to use for CUSTARD PIES too. The original formula (in the blue cans with the snowmen on it – we all remember it!) turns to water in about 30 seconds after spraying BUT this new formula will keep its shape for about five minutes when sprayed onto a plate – with only a little deflation of the pie. One can makes about 20 decent size Custard pies to throw. So its now two products in one! Our Bugsy Malone splurge guns are designed to fit these 400ml cans of splurge. The splurge cans are filled with a non toxic white foam. Each splurge can delivers just over 1 minute of splurge and sprays about 3 metres. We would generally recommend 1 can of splurge per gun per show. The splurge foam is great fun but does require a little management. If cleaned up while wet (as people come off stage) with sponges and water, it generally won’t stain however, if left to dry it will need more vigorous cleaning and could stain some fabrics. We have had many customers who have hired costumes and got their deposits returned in full with proper management of the Splurge. The foam washes out of most clothes. Some dry cleaning chemicals do not remove it and items need to be hand rinsed in luke-warm water. Avoid spraying onto curtains or soft furnishings as the foam may leave a white residue and these items, due to their size, can be difficult to clean. The best way to deal with the splurge on the stage itself is to have a team of helpers ready for the clean up as soon as the scene is over. As the foam disintegrates into a liquid over time it can become slippery. To avoid any possible slips on stage, use your characters (eg Fizzy) wielding mops to mop up the floor while the production is on. If you are not brave enough for the Splurge try our Silly String guns as silly string is easier to clean up as long as it stays dry, although its not quite the full Bugsy Malone look. Another point to remember, the splurge cans are an aerosol canister and therefore should not be sprayed directly into anyone’s eyes at close range and should be kept away from heat sources as with any aerosol can. Please check out our photos from our customers of laughing children and adults with Splurge all over their faces and our ‘Testimonials’ from happy customers. We have sold this product for many years to schools, dramatic societies and for parties of all ages. © 2015 Plunge Productions. All Rights Reserved.